Did you know that paperwork is a major productivity killer in the workplace? Not only can it sabotage your efficiency, it’s even expensive to manage. Yet studies reveal that the average American office worker uses about 10,000 sheets of paper per year. This is an alarming figure, considering the availability of advanced technology in today’s world. It seems like things are particularly designed to help businesses go paperless. When you depend on paper for your operations, you’re exposing yourself to a variety of problems pertaining to cost and productivity. First of all, throughput is jeopardized due to the slow nature of processing paper-based workflows. Paperwork can take up a large amount of physical space, which means there’s a limit to the amount of information you can store at once. Furthermore, you will typically have to store paper documents nearby for easy access — you can’t work from outside of the office. In a paper-based system, you’re forced to go through several additional steps, like printing and scanning, which take up a significant amount of time. Not to mention the monetary costs associated with a paper-based system. Each month, you’ll need lots of different paper supplies, plus other office essentials like ink and stationery. The costs of these supplies can add up and become a sizeable expense. Shipping of paper-based documents also costs more money, just as does safe disposal and recycling. 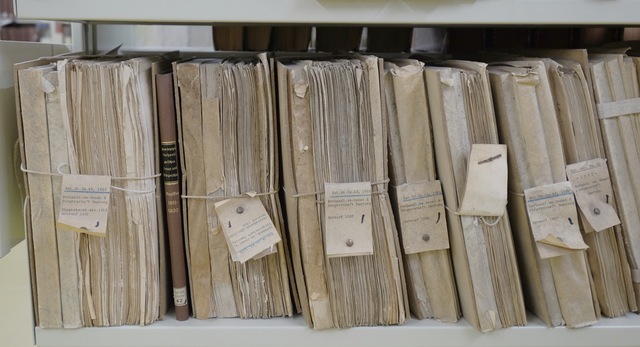 Paper-based workflow management systems require manual filing and physical storage, which means you have to make room for large filing cabinets and additional office space. You would also have to assign personnel to manage the files. And don’t forget that paper is susceptible to damage, loss, and theft. It’s a problematic medium. Fortunately, there’s a way out of this paper mess: cloud storage. 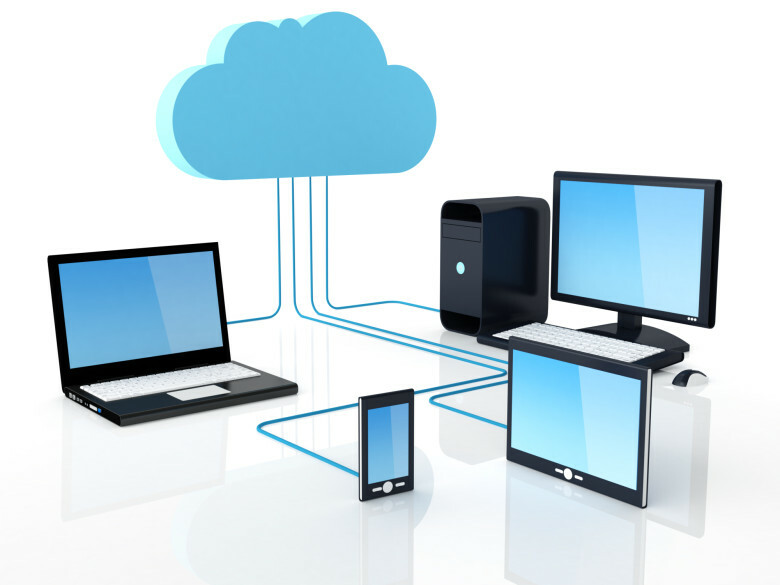 In plain English, cloud storage is simply about storing data online so that it is accessible from multiple devices. It’s a paperless system that’s based on virtualization. 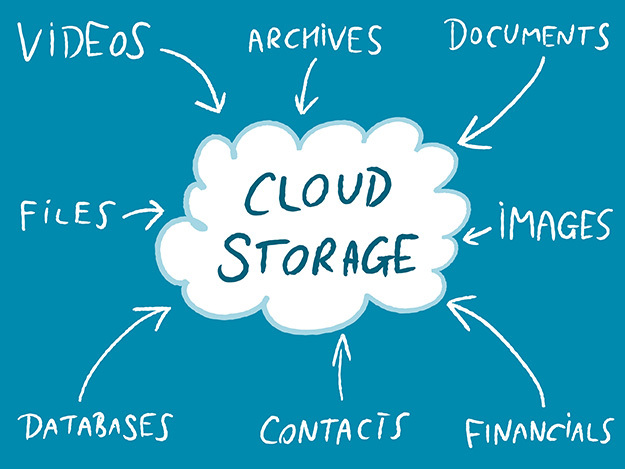 So what’s cool about cloud storage and what makes it better than the traditional paper system? This technologically advanced paperless system not only drives complexity out of the information management world, but also offers many more advantages over a paper-based one, even to accounts payable teams. Cost savings: Unlike the paper system, cloud storage doesn’t require you to buy thousands of sheets of paper and other office supplies. Scalability: This paperless system can be as small or large as you want. If you’re a small team with a small amount of data to store, no problem. More data? You don’t need to rent extra office space. It’s flexible enough to scale up or down according to your needs. Time and location independence: You can access your data wherever and whenever you like. Reliability: You can upload your files and go to sleep knowing that your data is properly managed. Forget about maintenance and upgrades: Your cloud storage service provider will take care of those. User-centricity: You can tailor it to your team’s specific needs. Don’t worry about the money: Cloud storage requires no upfront investment, but offers a pay-as-you-go model. Data portability: Imagine taking all your data with you wherever you go, right in your pocket. This is possible as you can easily access your data in the cloud from your smartphone. Robust data security: You can now focus more on revenue-generating ideas for your business instead of unnecessarily keeping an eye out for who next is planning on stealing your data. Data safety: If you don’t think Pokémon Go is cool, at least know that water and fire can’t penetrate your data in the cloud. Powerful analytics: Having instant insight into your data metrics can help you improve your team’s productivity. Better data integration: You’ll save yourself from having to physically find and transport data for things like report compilation. With just a few clicks of a button, you can integrate data with any tool, report, or process. Quick search: In the cloud, you’d just have to type a word or two, click a button, and voila — you have what you’re looking for. No more having a bad time tussling through annoying paperwork. This searchability makes it simple for you to quickly satisfy information requests from auditors. Increased visibility: You can easily track any document at any point in the approval process. Backup storage: You can even copy and store data in multiple locations for backup purposes. With benefits like these, cloud computing is an arena you can’t afford to ignore, especially if you care about improved internal controls, reliable auditing and reporting processes, and a more streamlined business process overall. In fact, to stand out in today’s competitive business world, you’d have to constantly be on the lookout for new ways to eliminate inefficiencies, streamline processes, and boost productivity. Cloud storage is surely a reliable way to do that. Now that you have an idea of the superiority of a cloud storage system over a paper-based method, what can you do to choose the best cloud service for your business, and how do you make the most out of it? 1. Decide on a system that’s best for your team. Public clouds are managed by cloud service providers. Although there are free plans, cloud service providers may charge monthly subscription fees, or require that you buy storage space. This sort of cloud is ideal for businesses that do not have the time, staff, or money to run their own in-house cloud storage. 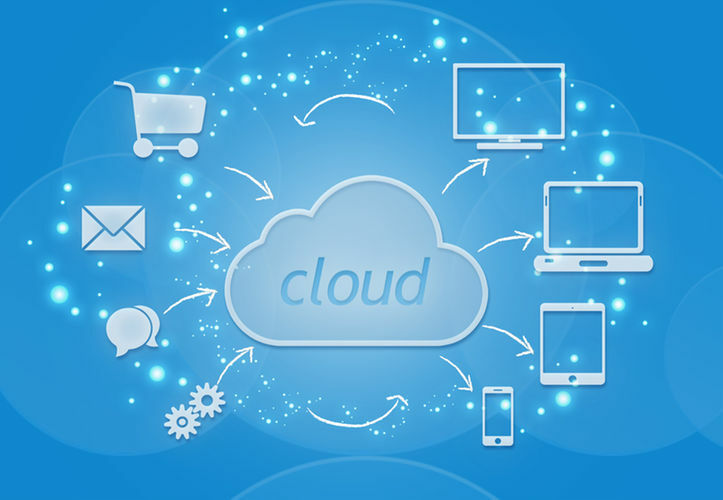 Some top public cloud storage services include Google Drive, Dropbox, Box, OneDrive, Amazon Cloud Drive, and iCloud Drive. Private clouds are managed internally, and are more costly than their public counterparts. If you need to maintain strict performance, high security, and absolute control over your data, then this type of cloud is for you. If you want the best of both public and private clouds, then a hybrid storage cloud is the perfect option. This makes it possible to store your most frequently accessed, or most sensitive, information in-house, and keep less-active data in a public cloud. Whichever type of cloud you choose, be sure it will scale on demand to support rapid, unplanned data growth in any direction. 2. Evaluate the cloud storage provider. If you are going with a public cloud — which tends to be the default options for most businesses — do your homework before turning your valuable data over to a third-party by evaluating the service provider you choose, to ensure they meet your requirements. Which platforms do they support? What services do they offer? — data storage, data transfer, data backup, etc. What’s their service-level agreement (SLA)? Hint: Don’t accept anything below 99.999% uptime. Who owns the data in case you want to move it somewhere else in the future? What privacy level do they accord their data? Are there geographic restrictions on where your data can be accessed? How’s your data stored, and what does their data recovery plan look like? What are their security standards? You don’t want to end up with a provider with a bad history of cyber attacks and frequent downtime, or with one that claims they own your data and can sell or reveal it to any third-party. 3. Choose a cloud storage service that integrates with a workflow automation tool. The reason for this is not farfetched: you don’t want to be going back and forth between seven different programs on your computer just to complete a simple task. A workflow automation software that integrates with your choice of cloud services makes it easier to attach, share, and process documents within the tool, increasing efficiency and saving you time. For example, our professionally crafted accounts payable workflow automation tool, Pyrus, can integrate seamlessly with cloud storage services like Google Drive, Dropbox, and Box. With these integrations, managing a workflow shouldn’t be a problem, as you can easily upload documents, use them in tasks and forms, or even as data source. Additionally, Pyrus lets you save significant time, money, and effort on AP processes, and makes complex tasks look like nothing. If you have yet to experience Pyrus advantage, we recommend you give it a shot. Pyrus is free, easy to use, and trusted by thousands of users around the world. Previous Previous post: What Is Business Process Management And How Can It Help Your Business?